Finding a pet and baby safe carpet cleaning company in Warminster, PA is fairly easy if you know where to start. Look for a company that uses 100% green carpet cleaning agents. Also, be sure to look for a local company that has years of experience in carpet cleaning and positive customer reviews. OxiGreen, as we say right in our name, is a 100% green carpet cleaning company. We never use any harsh chemicals or petroleum based cleaners that could damage the fibers of your carpets and leave behind toxic residue that could threaten the health of your little ones and pets. We here at OxiGreen use carpet cleaning agents that are derived from the tea tree. They are 100% biodegradable and eco-friendly. They are safe for the environment and your family, particularly your small children and pets who spend so much of their day playing, resting, and relaxing on the floor! We combine those green cleaners with our state of the art, truck mounted carpet cleaning machines to deliver an efficient and effective green carpet cleaning service. Our process removes 87% of the dust mites trapped deep in the carpet fibers and 85% of the pet allergens. While the average vacuum and carpet cleaning don’t even disturb these deep-down pollutants, we extract them right along with 98% of the water used in the process. Not only will you get a deep cleaning, you will get a fast drying carpet, which all of our customers appreciate. 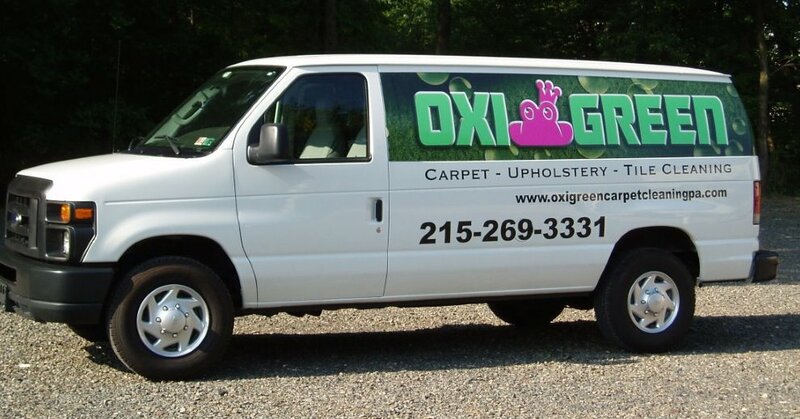 For a great pet and baby safe carpet cleaning company, call OxiGreen in Warminster, PA at 215-269-3331! We will be happy to schedule a free in-home carpet inspection and give you a free quote. With our 100% green cleaning and 100% satisfaction guarantee, you won’t go wrong with OxiGreen!